Orlando Stadium packed to capacity for Mam Winnie funeral - SABC News - Breaking news, special reports, world, business, sport coverage of all South African current events. Africa's news leader. 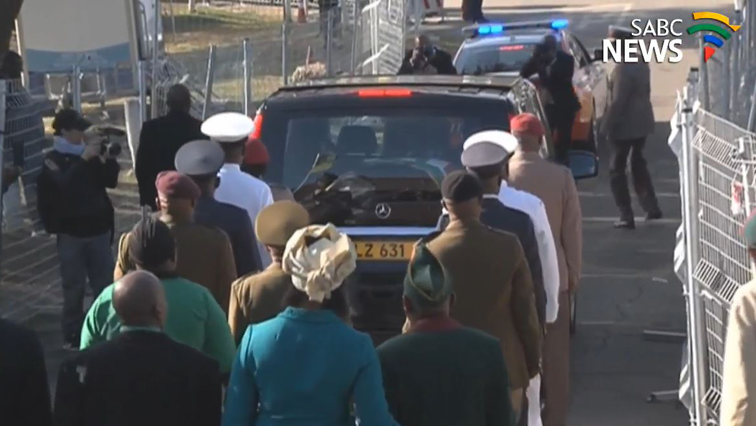 Mama Winnie's funeral is currently underway. Government has requested mourners attending the Winnie Madikizela-Mandela’s funeral service at the Orlando stadium in Soweto not to force their way into the stadium as it has reached its full capacity. Hundreds of people are still forcing their way into the packed stadium. The 36 000 capacity stadium is packed with mourners dressed in colourful political parties regalia. Government spokesperson Phumla Williams has pleaded with those outside the stadium to go to the nearby overflow venue which is a rugby stadium.